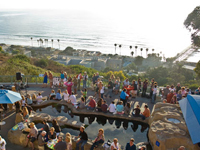 The campus of Scripps Institution of Oceanography offers rental venues for events ranging from conferences to weddings to small group meetings. 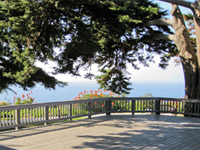 Hold your special event in this historic cottage under lush cypress trees on the century-old Scripps Institution of Oceanography campus, overlooking La Jolla's beautiful coastline. This new, oceanfront conference and special event facility offers a relaxed and comfortable atmosphere as well as powerful, state-of-the-art audio-visual equipment. 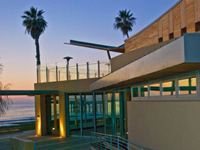 Birch Aquarium at Scripps features spectacular indoor and outdoor locations overlooking La Jolla and the Pacific Ocean. A dazzling variety of marine life in realistic habitats are on display.